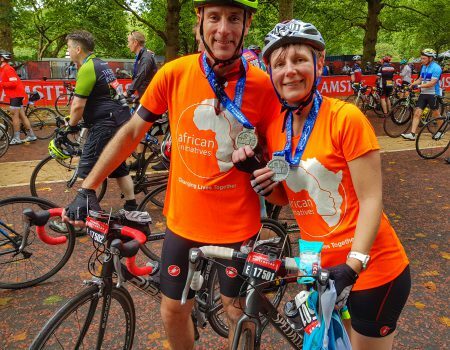 African Initiatives has just one spot left for RideLondon this August and registration closes on 31st May. Registration is £50 and sponsorship is £350; as one of our cyclists, our Fundraising Team will help you set up a fundraising page via Just Giving and you will be supported throughout your fundraising process. African Initiatives will also provide a detailed fundraising pack, a branded running vest, as well as training tips and encouragement as you prepare for the ride! If you would like more information, or want to sign up for our remaining space, contact Holly Burchett our Fundraising and Communications Officer by email hollyb@african-initiatives.org.uk or phone 0117 915 0001.